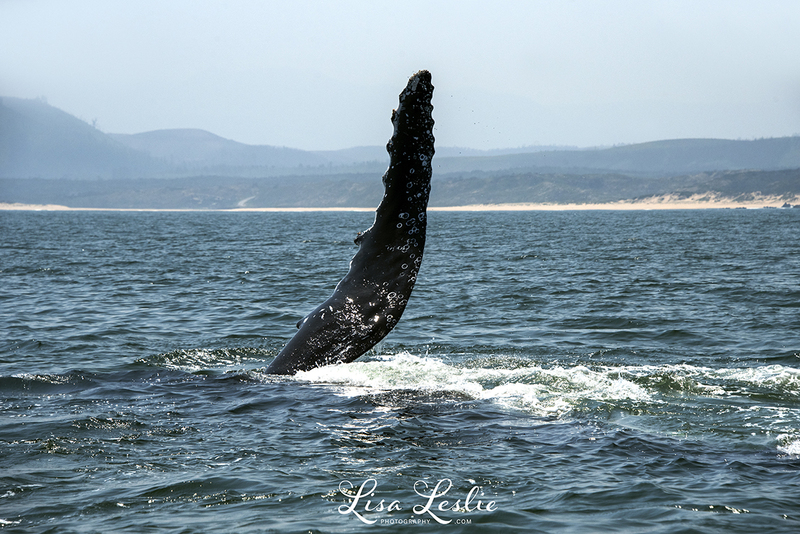 We were at the tail end of our migratory whale season, with the bulk of our leviathan visitors having already skirted our section of coastline on their way back to their plankton-rich feeding grounds near Antarctica (or, some believe, up the West Coast of Africa which also has a food source.) 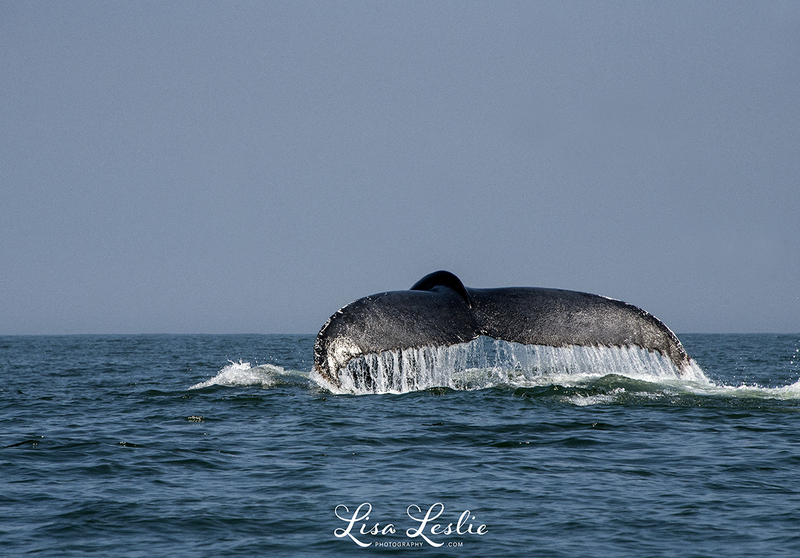 Unlike mid whale watching season, when whales are encountered pretty much on a daily basis, at this late point in the season it definitely wasn’t a given. The odd stragglers and several slow moving mother and calf pairs were all that remained. With this in mind, I sent a silent plea out to the universe because I was about to have my very first trip of the season. 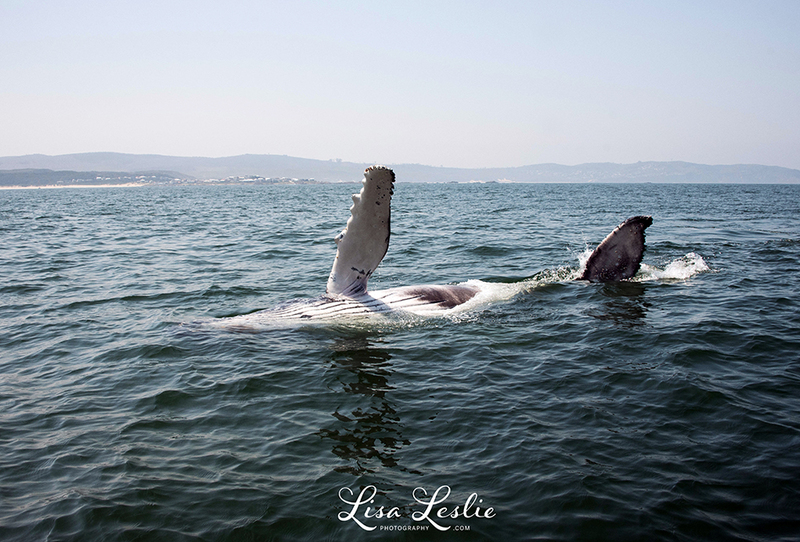 The nature of my work means that I am fortunate enough to exit the Knysna heads at least once a week during the season. I head out into the Indian Ocean’s vast liquid landscape to capture, through the lens, the wonders of one of the greatest mammal migrations on the planet. Sadly I had missed most of the show this season due to a broken ankle and I had to live vicariously through Ocean Odyssey’s social media feeds. And boy did they have a stellar season, with the number of encounters significantly exceeding the previous year. As I climbed onboard, I knew that this may well be my last chance to see my spirit animal – the humpback whale – before they all but left our shores. It was one of those unusually calm days out on the ocean, with a swell of a mere 0.8 metres. The entire length of the opening of the Knysna Heads was so flat that it was difficult to imagine in that moment that this famous estuary opening can be one of the most dynamic and dangerous in the world. We headed out through the rocky headlands with a full boat of eager passengers on-board Odysseus, the latest addition to our fleet and now our flagship vessel. 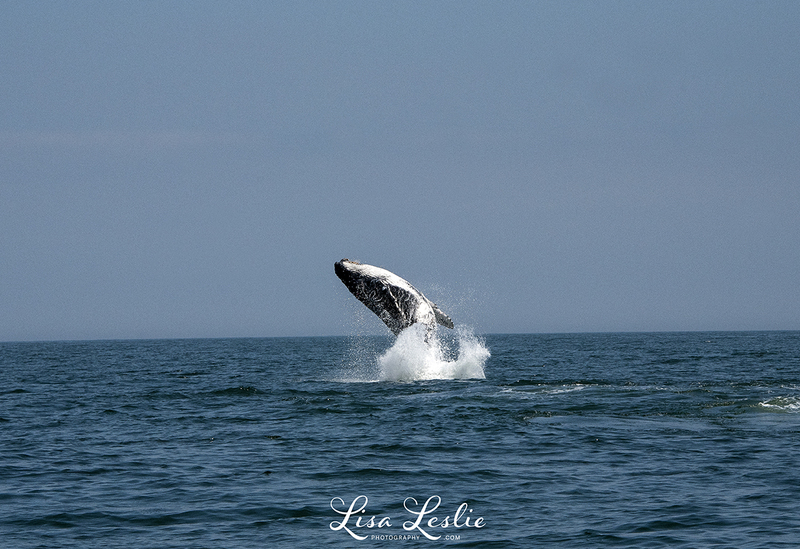 Almost immediately after exiting the rocky headlands, our whale spotter radioed in to say that he had seen breaching activity just south of Buffalo Bay. We made a beeline for the location. We could see the action from afar and hoped we wouldn’t be too late to catch the action. 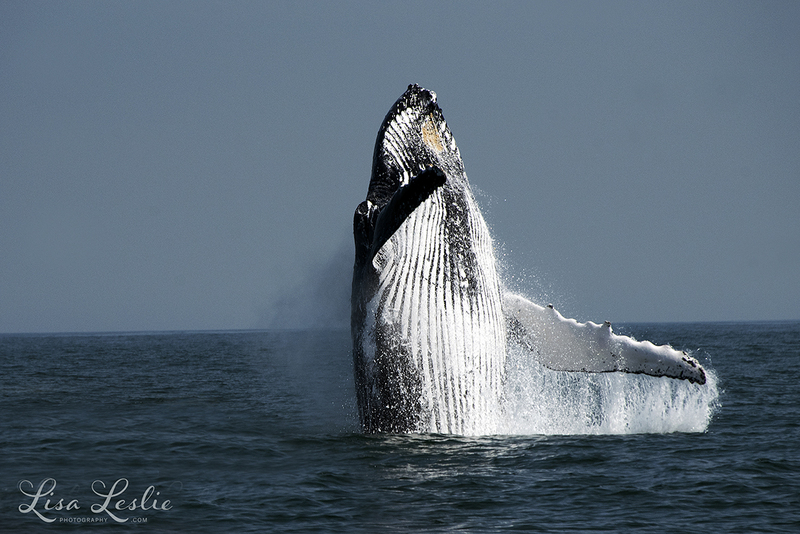 Seeing a whale breaching is every whale watchers dream. 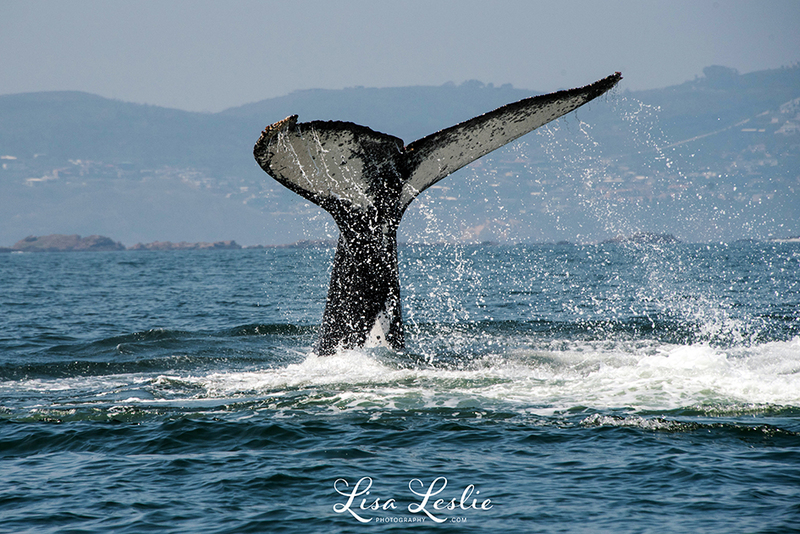 Very often they give you only a sneak peak of their dorsal fin, fluke or pectoral fins. 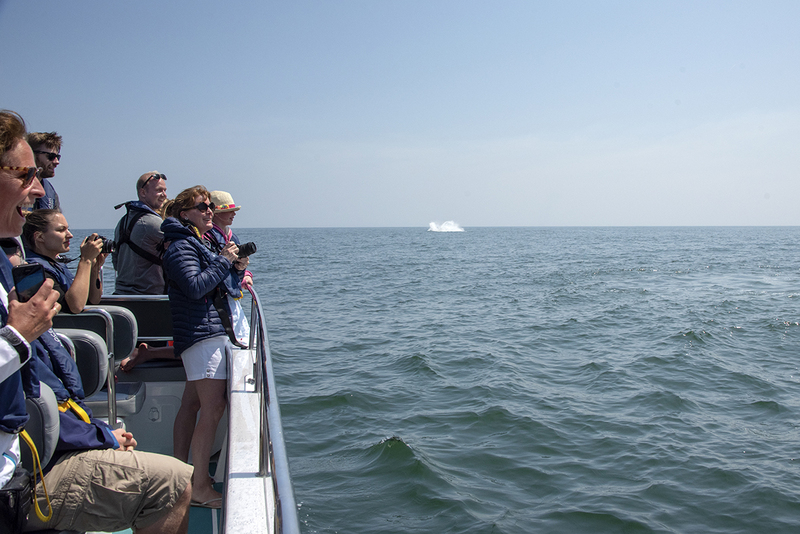 So when a whale launches it massive tonnage out of the water, it makes people rather giddy with delight. 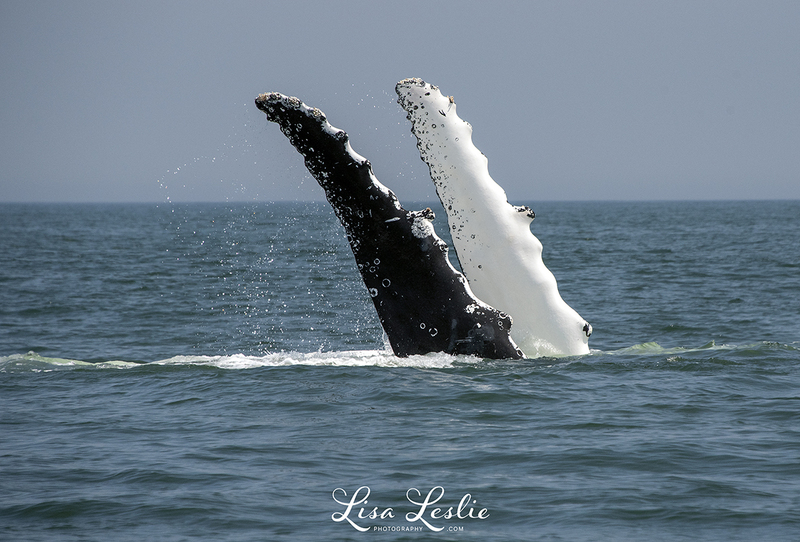 As we slowly approached the area of the initial sighting, the guide quickly realised it was a humpback mother and calf pair, so we stopped within the regulatory distance to observe them. They were incredibly active, and much to the delight of all on board, they put on show that no one is ever likely to forget. There was lots of tail and pectoral fin slapping, rolling over, spy hopping and best of all – breaching – not once, but over and over again. It was, in a word, mesmerizing. 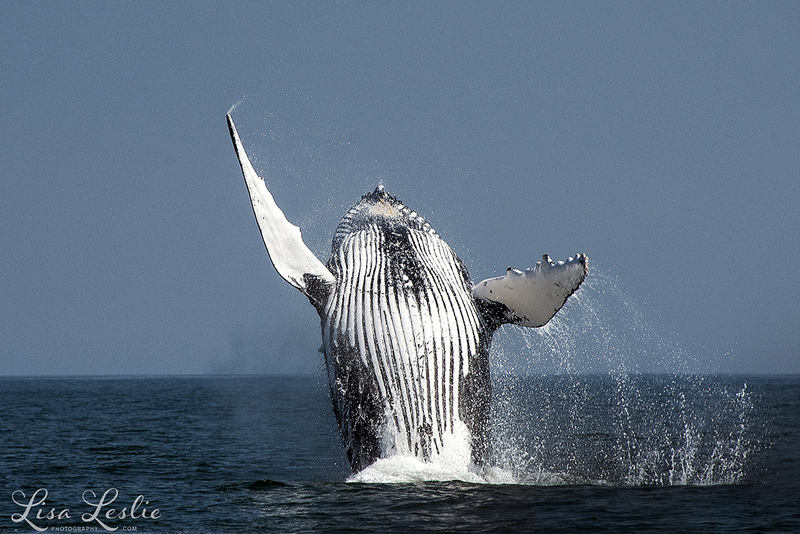 It is difficult to describe the feelings evoked when a humpback whale breaches. But when you do see it, you realise why they are often referred to as angels of the sea, as their extremely long pectoral fins look like the wings of an angel. The incredible bond between mother and child was palpable. First mommy would slap her long pectoral fin hard on the water’s surface and her baby would then mimic her actions. 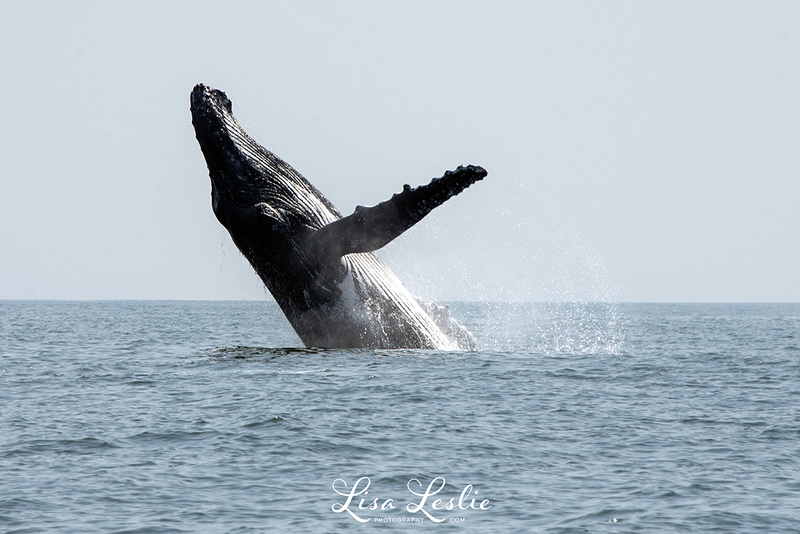 Then they started tail lobbing, which is the term describing a whale when it thrusts its fluke backward clear out of the water and brings it down with a huge splash. The display resulted in a symphony of gasps, hoots and hollers from the guests onboard, I don’t think anyone could quite believe what they were witnessing. This is the beauty of a wild ocean encounter – it is completely raw and entirely unpredictable. After quite an exciting display of above water antics, the pair disappeared beneath the surface and we all waited with bated breath, wondering where and when they would surface once again. 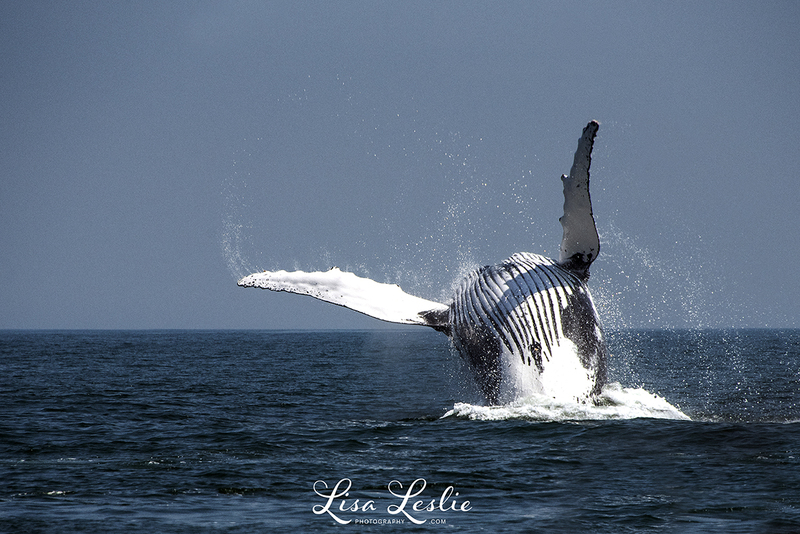 For me, that is one of the thrills of whale watching. The sheer anticipation of it all can really get one’s adrenalin surging. All of a sudden the calf surfaced right next to the vessel. Exhaling loudly, it gave us two rather nonchalant pectoral fin slaps, almost as if in greeting, and then disappeared under the boat and into the dark indigo depths. They appeared once again further away and continued with their performance. Then, unbelievably, we saw two more whales breaching in the distance, with as much gusto as the whales closer to the vessel. At that point it was difficult to decide where to point my camera. My heart was racing and I had goosebumps all over my body. In that moment, I felt a deep sense of joy and wonderment, and I knew I wasn’t the only one. 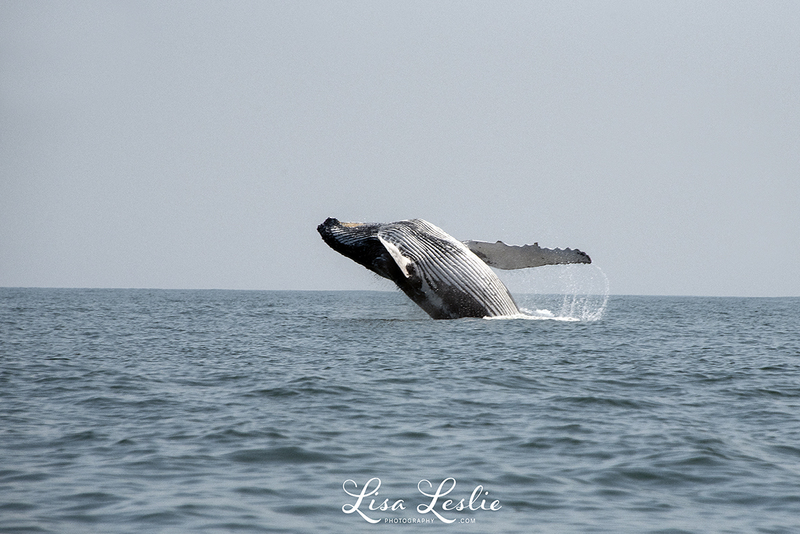 So yes, I missed most of the whale watching season, but the one trip I had was the stuff of dreams. I was a privileged spectator for a brief moment to some of the most sentient creatures on earth. Wild encounters such as these induce a natural high which takes hours, if not days, to subside. In some ways, it changes you forever. 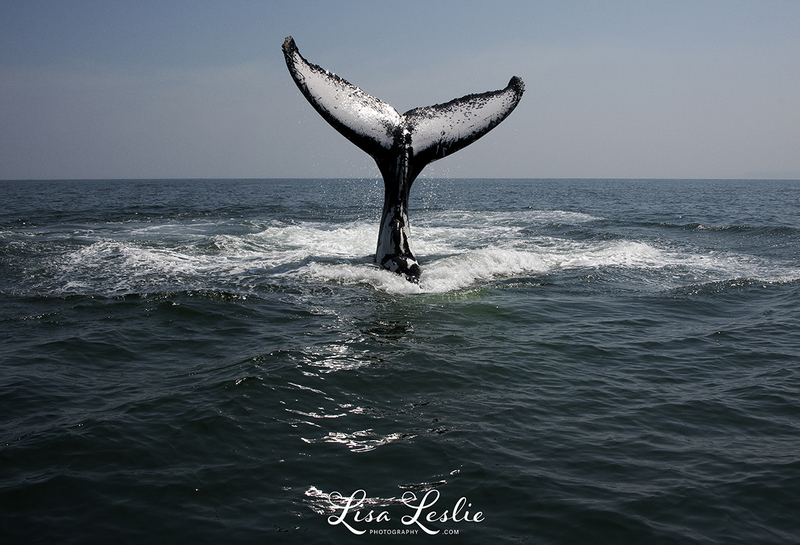 I believe that when you experience the marine world in this way, you are far more likely to want to conserve it. We have said goodbye to these majestic beauties, and we wait patiently for their return, when this age-old migratory phenomenon repeats itself once again. For an enriching natural marine experience of a lifetime, book a trip out with Ocean ODyssey today. (Summer is also a busy time out on the ocean. 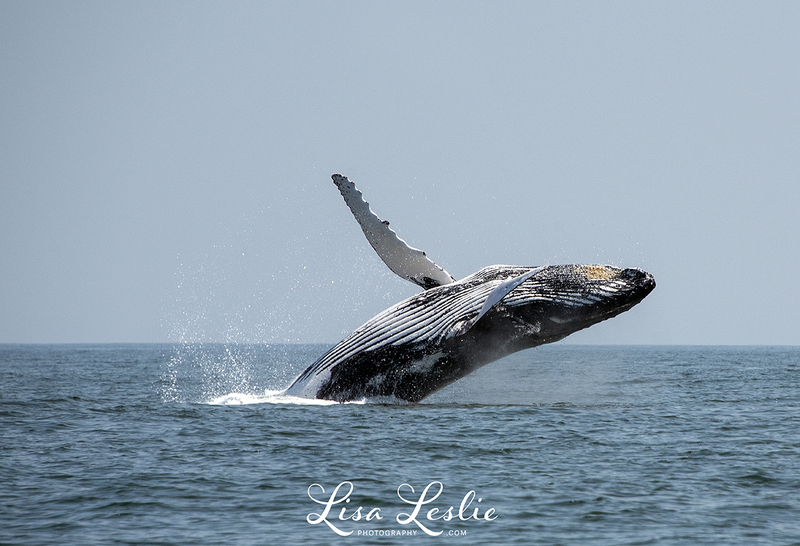 The warm waters bring large shoals of bait fish and in turn lure three different dolphin species (Indian Ocean humpback dolphin, bottlenose dolphin and the common dolphin) seals, sharks and our resident Bryde’s whale. How Whale Poo Can Help Fight Climate Change.